Perseverance, survival, champion riding ability… the best of the best take on the challenge for the toughest race on earth – The Dakar Rally. Every year, hundreds of teams enter a motorcycle, car, or truck in an attempt to push the limits of their vehicles and themselves. 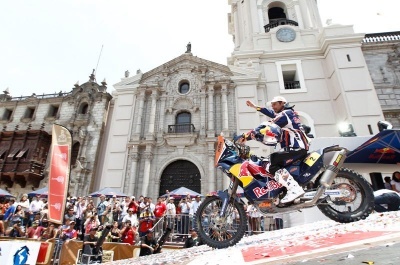 With the 2014 Dakar Rally now underway, there’s a lot of excitement in the ADV world. While it’s big in Europe, Americans don’t know much about how the rally works or where it came from. To help you better enjoy all the action, here’s a little background on the history of the race and what’s in store this year. The Dakar Rally was born when French motorcycle racer Thierry Sabine lost his way in the Ténéré desert during the 1977 Abidjan-Nice Rally. Impressed by the extremely rugged terrain and desolation of the region, Thierry decided it would make an excellent backdrop for a new rally. He spent the next year planning and organizing what would become one of the most grueling events in off-road racing. On December 26, 1978, racers set out from Paris, France headed for the capital of Senegal and Africa’s westernmost city – Dakar. 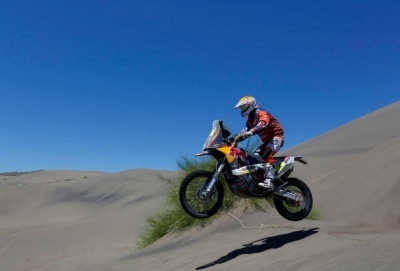 Two and a half weeks and over 6,200 miles later, 21 year old French rider Cyril Neveu became the first person to cross the finish line of the Dakar Rally on a Yamaha XT500. 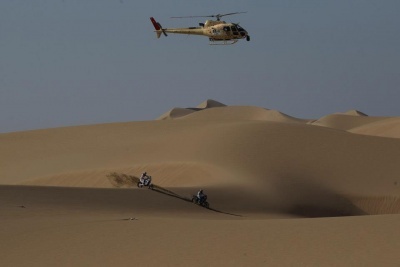 Of the 170 motorcycles and cars that left Paris, only 74 completed the journey to Dakar. The Rally became a yearly event starting in Paris and finishing in Dakar until 1995 when the starting point was changed to Granada. The route varied over the next decade but remained in Northern Africa and Western Europe. Things changed in 2008, when terrorists killed four French tourists who had travelled to Mauritania to watch the rally. Amid threats of more violence and growing unrest in the region, organizers ultimately made the decision to cancel the 2008 event entirely. The following year the rally was moved to South America (but kept the iconic Dakar name) and has continued there ever since. 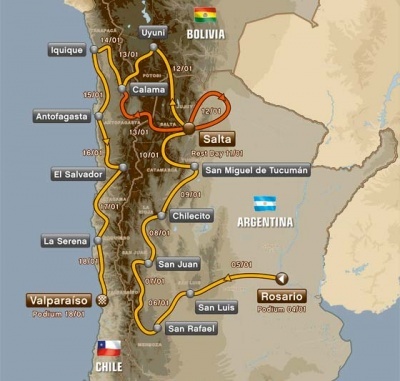 This year’s race started in Rosario, Argentina, takes racers through portions of Bolivia, and will finish in Valparaíso, Chile on January 18. The rally is divided into 13 demanding stages that vary from 280 miles to 560 miles in length. Adding to the challenge, there are two ‘marathon sections’ for motorcycle riders. Each marathon section lasts two days, during which riders can’t receive any assistance from their support teams – repairs must be made by the rider and whatever tools they have with them. Racers will have a rest day between stages 6 and 7 in Salta, Argentina. 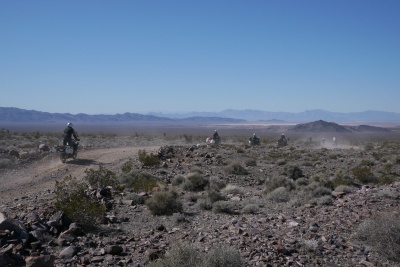 The route to Salta is almost 2,600 miles of arduous desert riding, and after the rest day riders will continue a full seven days and 2,800 miles to the finish line. The Dakar Rally holds a special place in our hearts because it helped shape adventure riding into what it is today. The BMW R80G/S, a precursor to today’s R1200GS, became an extremely popular bike in the early 1980’s because of its success in the Paris-Dakar Rally. 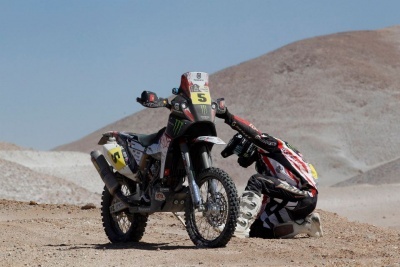 The popularity and range of adventure motorcycles wouldn’t be what it is today without the Dakar rally. There’s a reason BMW has had Dakar editions of their motorcycles and cars, KTM has a Dakar edition of their 990 Adventure, and Toyota has even released a Dakar edition of the Hilux. Today’s race bikes are smaller, lighter and faster than the 800 and 1000 cc monsters of the 1980’s, but share the same roots in the African desert. 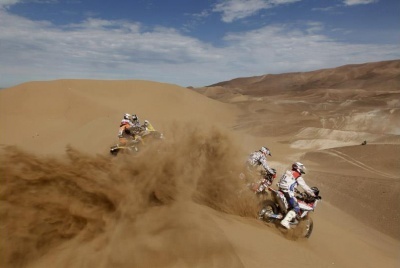 The Dakar rally is the ultimate adventure, but most of us won’t get the chance to ride in the world’s toughest race. 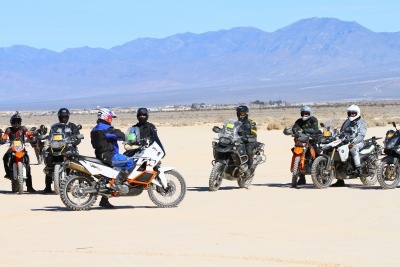 That’s why we got together with Dakar podium holder Jimmy Lewis to develop the AltRider Taste of Dakar, February 28th to March 2nd in Pahrump, NV. This event includes 2 nights of camping, epic GPS-led routes, 5 delicious catered meals and off-road seminars from knowledgeable instructors. 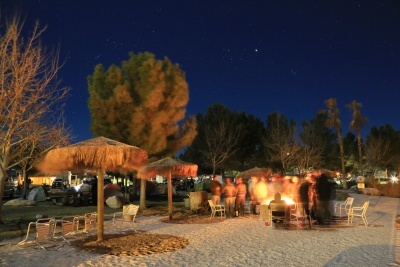 We plan our events to inspire people to get out and ride. It’s a great opportunity to gain some new memories and learn some new skills – all while making friends who share your passion for adventure riding. Head over to the Taste of Dakar page for full details.